Growing up, as a kid I loved creamy tomato soup. I’d even put some mozzarella cheese shreds in the soup and let it melt and swirl it around. Thankfully, due to Daiya that part was easy. 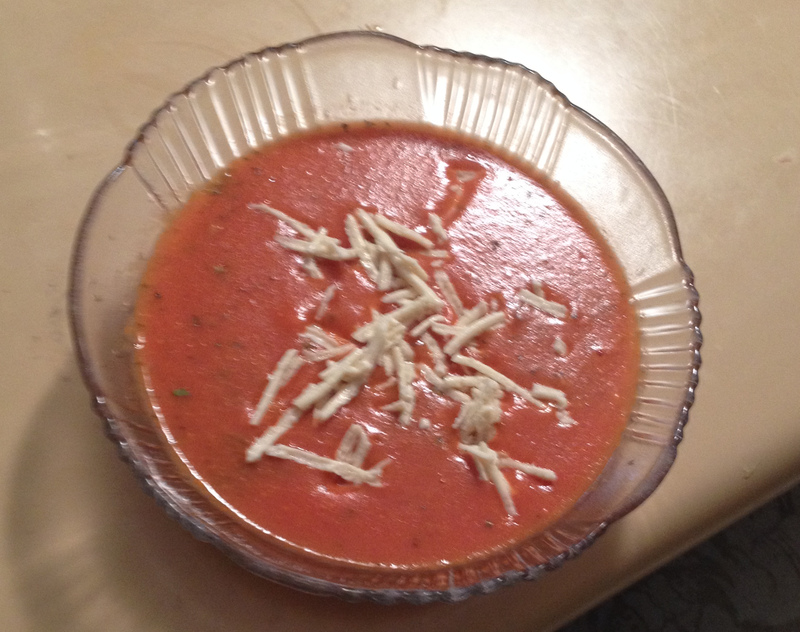 However, finding an easy to make vegan creamy tomato soup was more difficult. Luckily, I figured out something that tastes good, especially if you dip the Basil and Grilled Daiya Cheese sandwich in it too! 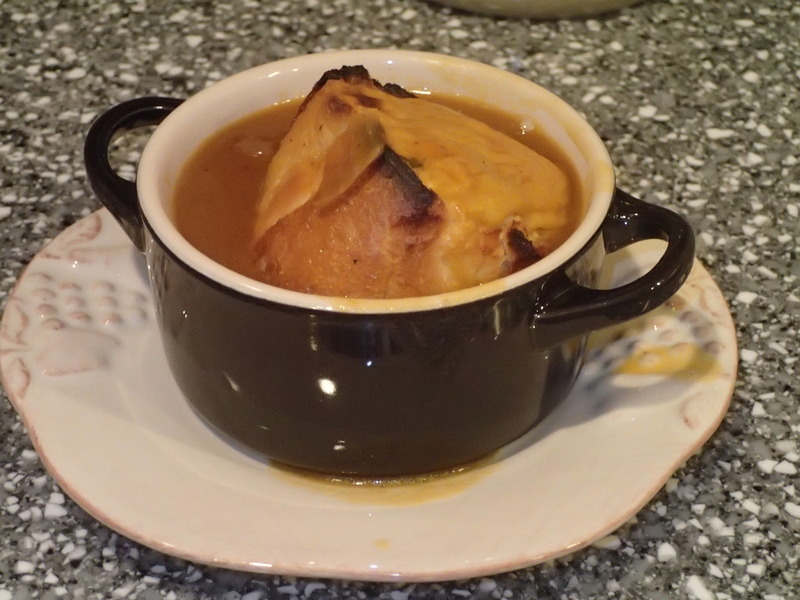 These are two very simple recipes to make, which I am happy about. 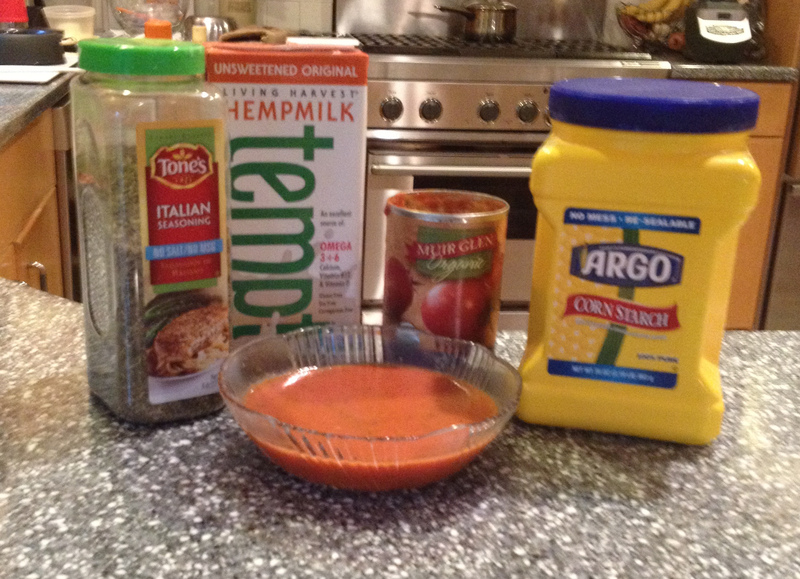 In a saucepan, mix together the tomato sauce, hemp milk, and seasoning (you can also add salt and pepper if desired). On medium heat, begin to heat up this mixture. When starting to become hot, whisk together the cornstarch and water to make a slurry in a little cup, and then whisk into the soup. 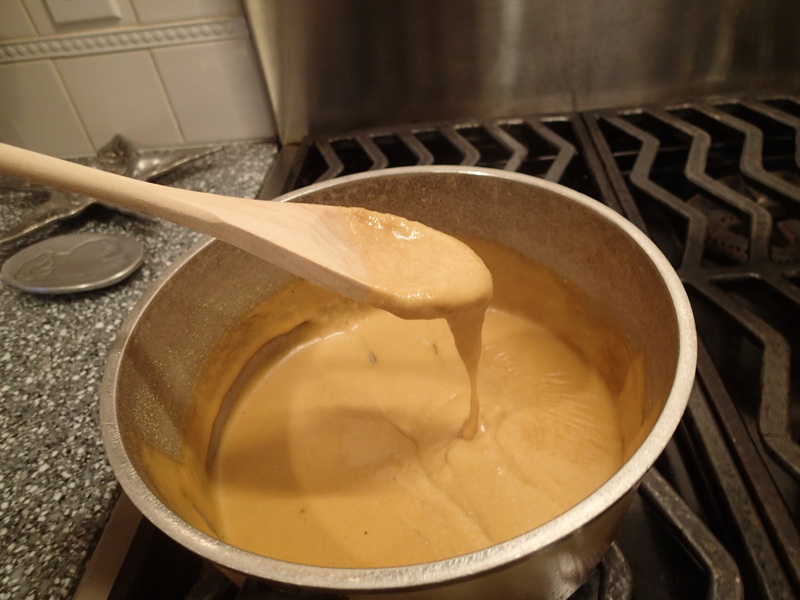 Stir constantly until bubbling and thickened more. 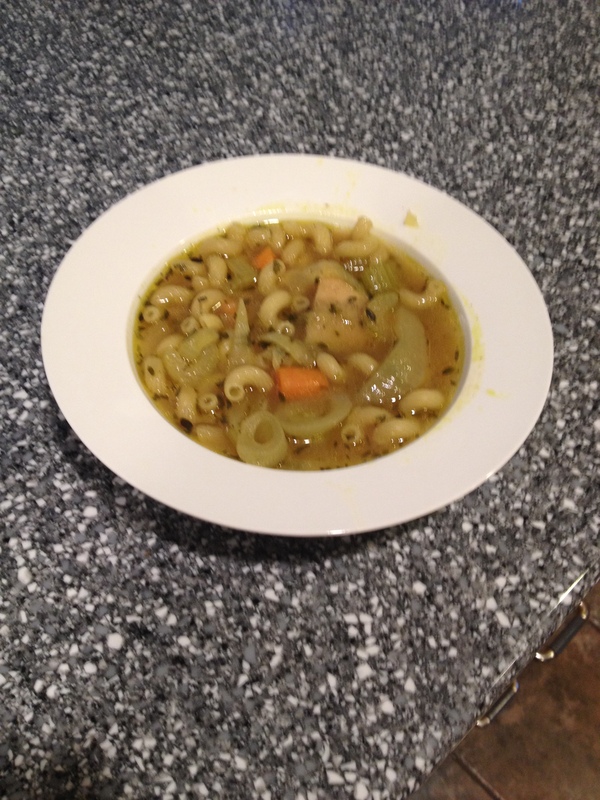 If the soup doesn’t really thicken you may need to add more cornstarch and water. Serve in a soup bowl and sprinkle some Daiya Mozzarella shreds into the soup for a melty, delicious extra kick, or dip the basil grilled Daiya cheese sandwich in it. I recommend lightly toasting the bread first, especially if you have a softer type of bread you are using. Spray each side of the bread with oil. 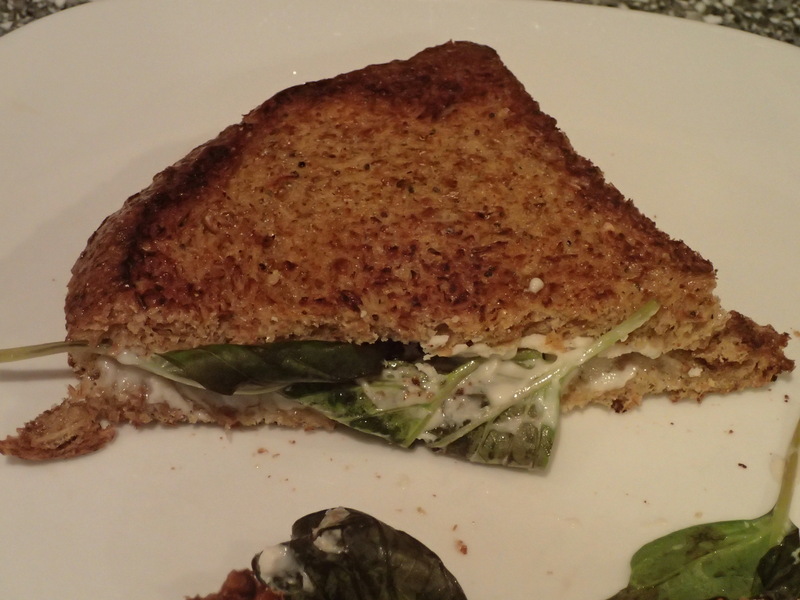 Place the cheese slices on one slice of bread, followed by the basil leaves. Place the other slice of bread on top. Spray a bit more oil onto a frying pan. Heat on both sides of the sandwich on medium heat until the bread is crispy and brown and the cheese is melted. Dip in the soup or eat alone. Enjoy!